In November of 2007, Jerry Seinfeld lent his multitude of talents to Bee Movie, in which he played a young bee, wanting more in his life than the dull drone of the hive. Striking out on his own, his spunky character had a series of misadventures including an unlikely relationship with Renee Zellweger. As it turns out, in the real world, worker bees are leaving their homesteads in America at an alarming rate. In 2008, a survey made by USDA-ARS indicated that over one third of American bees have been lost to “Colony Collapse Disorder” (CCD), in which worker bees suddenly turn into deadbeat dads, abandoning the hive for destinations unknown. Why? Though the time-tested “midlife crisis” excuse is always a possibility, no one actually knows. 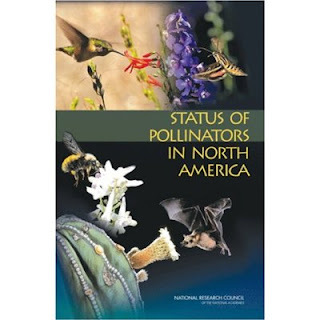 In 2007, The National Academy of Sciences released a report on CCD titled “Status of Pollinators in North America” that identified several possible explanations, though none could be confirmed as a cause. While love of Renee Zellweger was not explored, it also certainly has not been ruled out either. Most recently, the NAP website reports that Spanish scientists have isolated and treated Nosema Ceranae, a parasite that some believe may contribute to CCD, though there is no word yet on the treatment’s effectiveness on Renee Zellweger.